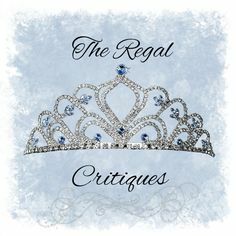 The Regal Critiques: Oh, look who's going on hiatus- AGAIN! Oh, look who's going on hiatus- AGAIN! It's me. I mean, did you even expect anything else? I, Ruzaika, am going on a hiatus again- twice within the space of a few months, I must admit- due to...the same reason as before, actually. I'm not sure if I've mentioned this on the blog before- I feel like I might have because that's all I ever talk about these days anyway- but I'm currently working on my individual research project for my BSc, and the final dissertation is due this month. I (foolishly) thought I'd be able to manage blogging, reading and everything else successfully but now that the deadline is looming, I'm not so confident anymore- which is why I decided on a complete hiatus for the space of this month. The blog, Twitter, Instagram- everything. Hold on! But then I decided against a complete hiatus because God knows I can't keep away from scrolling through Twitter and other social media every once in a while, so a semi-hiatus it is. Maybe one day I'd be able to go on a proper hiatus- like, drop off the face of the earth for a good few days- but today's not that day. Tomorrow isn't either, but some day. I haven't been doing that well on the blog anyway (though the past month was quiiite good, if I say so myself) and I feel like I'll be in a better space of mind after I get this dissertation done and dusted anyway, so the more I think about this, the more this break seems like a better idea. I'll be back before you know it, though, so don't worry! Vera will still be around here manning the ship single-handedly like she's been doing every time I slack off (she's a blessing, honestly)- and I'm always a DM or email away anyway! Girl, you've gotten worse than me 😂. But no, poor thing - I hear you. And if you manage to go on hiatus from being The Walking Doubt as well, I know you'll do amazingly on your project 😉. AMAZINGLY. Hang on in there! See you soon-ish. Haha tell me about it- I really have gotten worse than you at keeping up with the posts xD Thank you, Roby! Your support means a lot, always. Good luck with your dissertation! Smash it! Thank you!!! I'm done with it and I'm keeping my fingers crossed now. Argh.